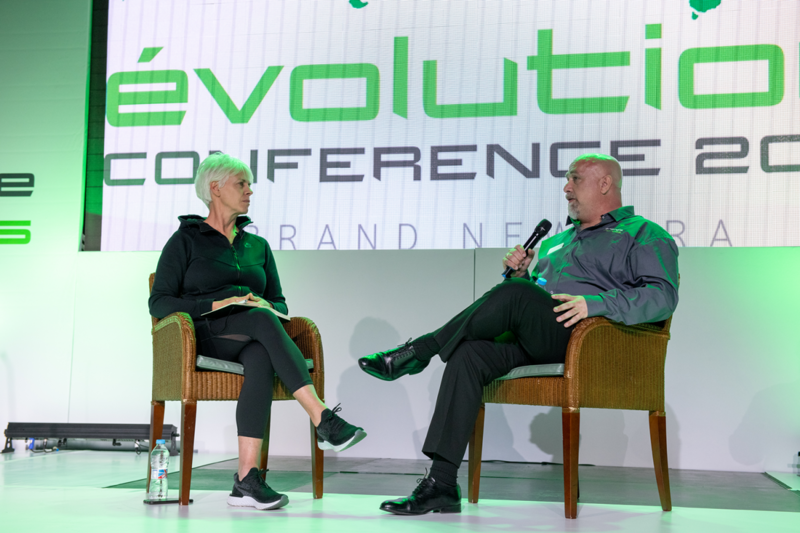 The highlight of the énergie event calendar, évolution brings Franchisees, club teams, suppliers, sponsors and the énergie Central team together to enjoy a one-day conference and awards ceremony to recognise and celebrate achievements within the franchise network. 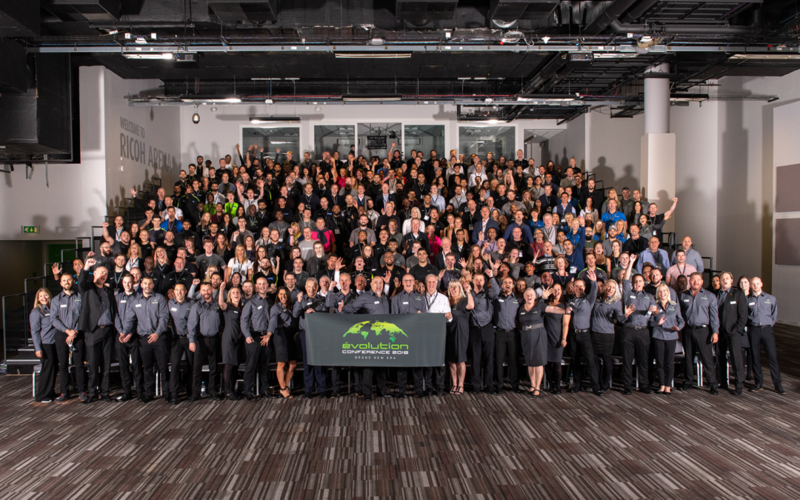 To celebrate our 15th year, we released a special anniversary video. Click below to watch! 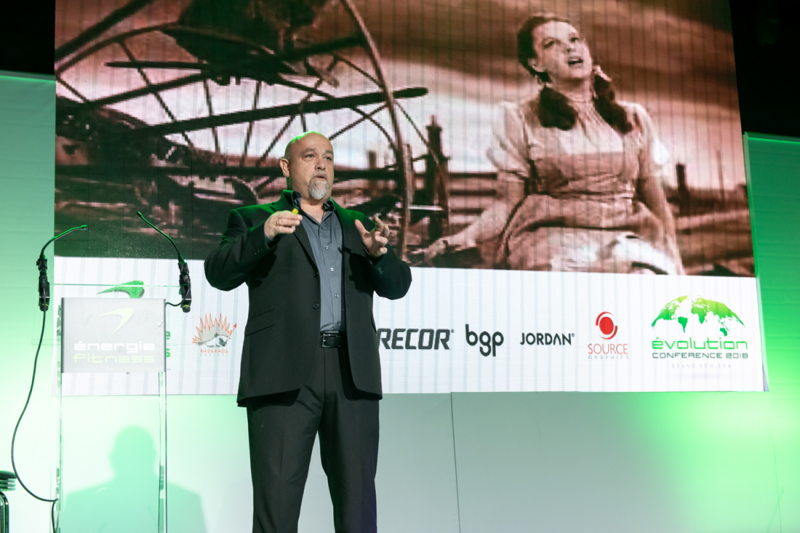 In traditional évolution style, énergie Founder and Chairman, Jan Spaticchia, took to the stage to deliver the opening address. 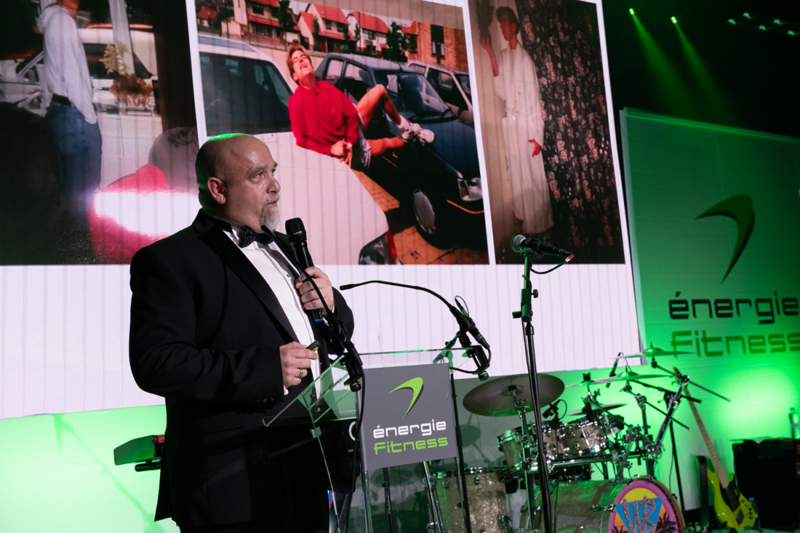 Having started the business from a dining room table in his house in 2003, Jan was able to share his stories and reminisce on énergie’s incredible journey over the past 15 years. Jan also announced that énergie COO, Neil King has been appointed to CEO. Working with Neil, Jan will focus on taking the énergie business to new frontiers. 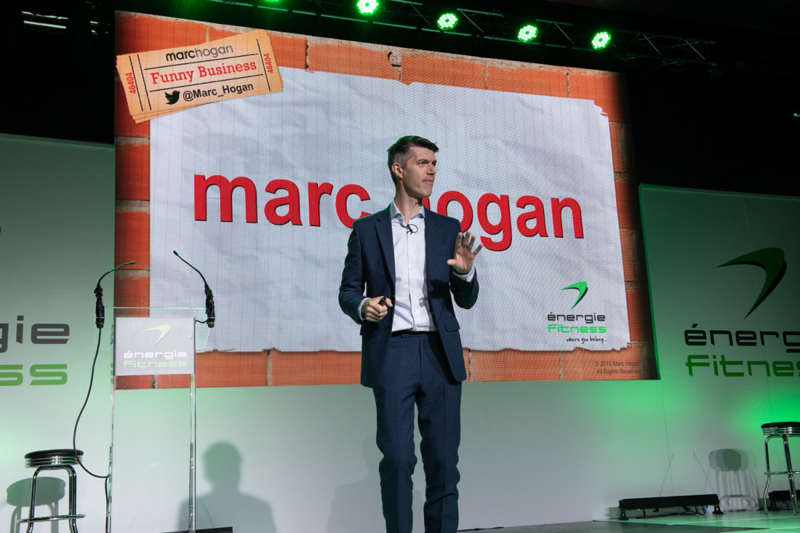 Marc Hogan, former Sales and Marketing Professional turned Comedian delivered our conference keynote. Telling a poignant story of his failures and successes, Marc left a powerful message with our delegates. Marc highlighted how enhanced communication skills can help our franchisee’s staff teams to deliver even more value to our members. 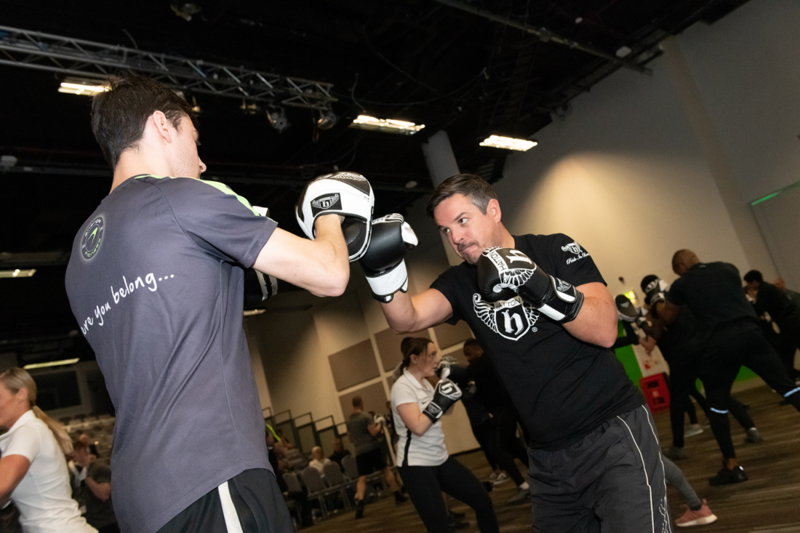 A longstanding friend of énergie and creator of our émpower fitness programme, Paul Brown (aka Mr Retention) from Face2Face Retention Systems returned to évolution. 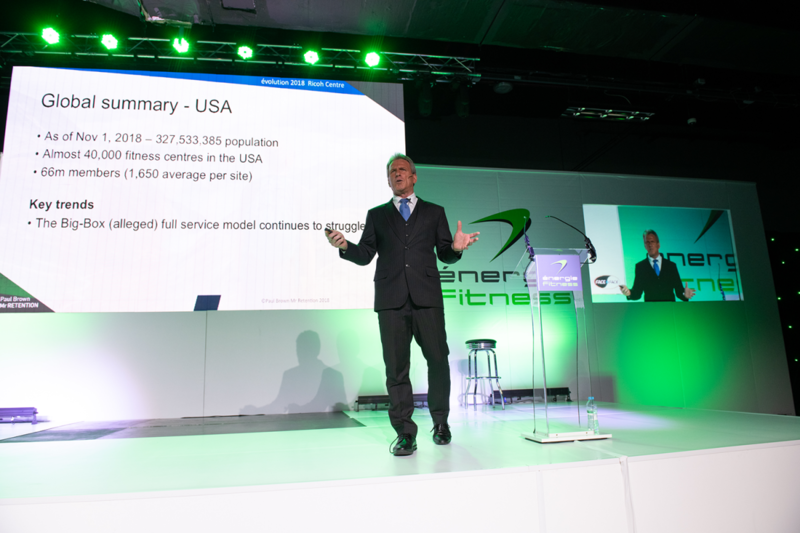 During his session, Paul discussed how the énergie Fitness model stacks up against the biggest and best brands around the world, and what this really means at a local level to our independent and multi-site franchise partners. Working closely with Hatton Boxing in recent years, Master Trainer Kevin Wright joined us to deliver a practical and explosive insight into the Hatton boxing Academy instruction course in partnership with MyZone, giving an insight into our YARD Club Edition classes and the future of our énergie BOX sessions to enhance the member experience. 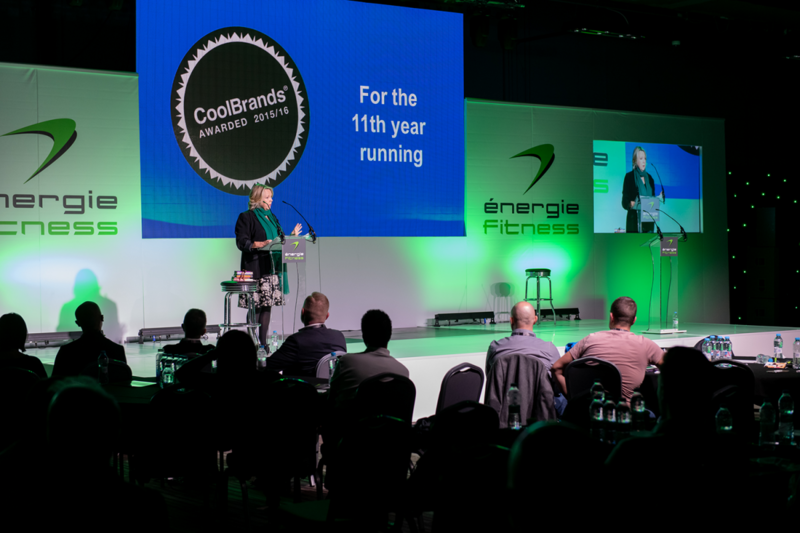 Co-founder of the bestselling chocolate brand Green & Black’s, Jo Fairley covered the story of Green & Black’s from a Portobello bedroom to a global ethical brand, talking about the power of a brand to differentiate from the competition. 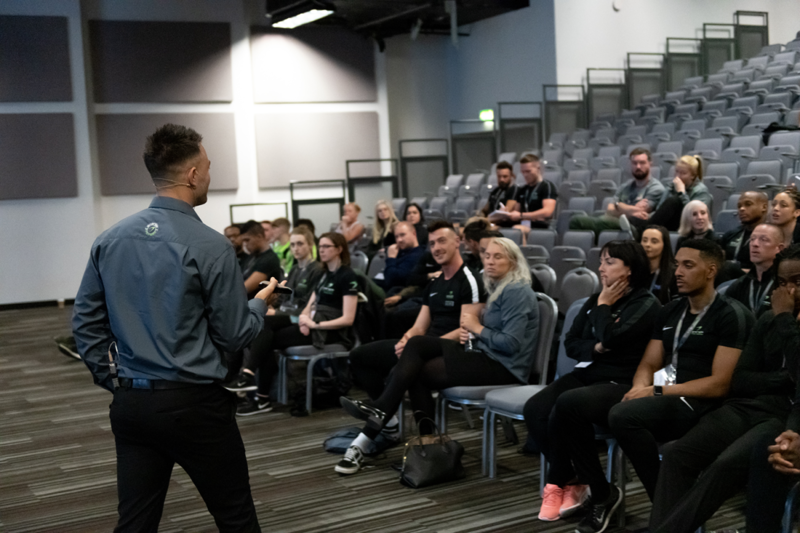 Our very own Fitness and Product Trainer, and recognised fitness industry expert, Dean Zweck discussed “surviving or thriving as a PT”, sharing the lessons he’s learned from his 20 years of industry experience and the latest information and research that can help the PTs in our network thrive within our high service club environment. The world is getting smaller! That’s we learned from Jim Durie, Managing Director of the énergie International Development Agency. Jim highlighted how advances in technology, communication and travel mean present exciting possibilities from the expansion of énergie into new international markets. Liz Terry, CEO of Leisure Media, interviewed énergie Founder and Chairman, Jan Spaticchia, about his vision for the future, énergie’s global ambition and Jan’s role in shaping a much larger company in the year ahead. 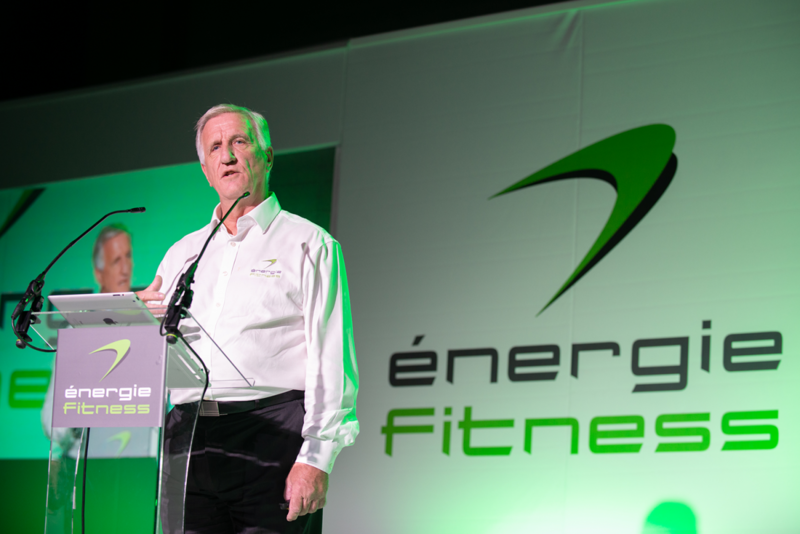 To close the conference, new énergie CEO, Neil King highlighted énergie’s future plans for the growth of the business and the support that will be provided to our existing franchisees and club teams. Closing évolution in style, our very own Singing PTs from énergie Fitness Hoddesdon and Palmers Green performed for our delegates as everyone took their seats for dinner. 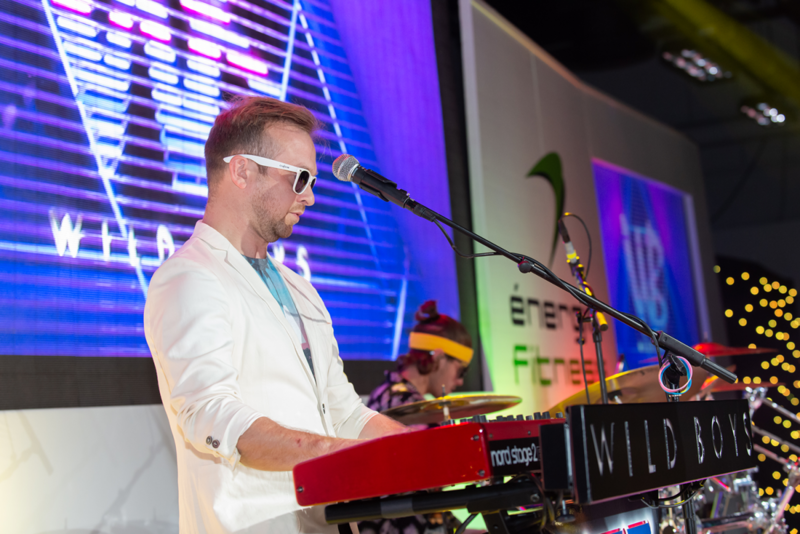 Shortly followed by 80’s band, Wild Boys, who have had everyone on the dance floor two years running. At énergie we don’t take ourselves too seriously, after all, that’s what you’d expect from a company that has “We Play” within their brand promise. Not for the first time, we celebrated the theme of our évolution Conference with a Hollywood inspired spoof video. To see what we got up to in previous years, click here! If évolution looks like the kind of event you would like to be part of, register for an information pack via the form below. In the meantime, keep an eye on our Instagram for more énergie news and updates!